Pete Petit started his business career in 1970 when he formed Life Systems which was later renamed Healthdyne. The impetus for the formation of the company was the loss of his second son due to a crib death. As a result, he developed the first home physiological monitor for infants that were at risk for Sudden Infant Death Syndrome (SIDS). Healthdyne's first significant product was the "Infant Monitor" which ushered in the era of high technology home healthcare in the United States. Healthdyne went public in 1981. Healthdyne made numerous acquisitions in order to diversify from its initial primary focus on the Infant Monitor. Healthdyne acquired Narco Scientific in 1982, a New York Stock Exchange listed medical device manufacturer that was approximately three times the size of Healthdyne. Subsequent acquisitions increased the company's presence in the home healthcare services area through the acquisition of durable medical equipment (DME) dealerships. During this period of time, Healthdyne acquired approximately 30 companies. Healthdyne entered the emerging home infusion therapy sector of healthcare through the acquisition of Home Nutritional Services (HNS) in 1983. HNS grew from approximately $7 million in revenues to $140 million in revenues when it was sold to the W.R. Grace Company in 1995. Between 1981, when Healthdyne completed its initial public offering, and 1993, numerous financial transactions were completed. Healthdyne accomplished its initial public offering in 1981 and two subsequent secondary offerings in 1982 and 1983. In addition, Healthdyne took HNS public in 1989 with the sale of 35% of their IPO. 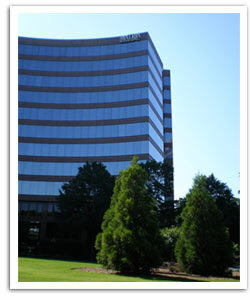 Healthdyne Technologies was taken public with the sale of approximately 18% in an IPO in 1993. When Congress enacted the Diagnostic Related Groups Reimbursement Act in 1984, it significantly changed the growth potential for hospital products. Therefore, Healthdyne divested its hospital products businesses, some of which came with the Narco Scientific acquisition. The Airshields division was sold to Vickers, a British conglomerate, and the Pilling Surgical division was sold to a financial buyer. Later, the DME companies were sold to British Oxygen, and those funds were redirected into the development of high technology home healthcare and information technology assets. 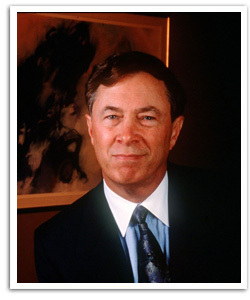 In 1987, Mr. Petit initiated the formation of a new Healthdyne subsidiary which was named Healthdyne Perinatal Services. This name was later changed to Healthdyne Maternity Management. It became the preeminent manager of high-risk pregnancies in the United States. In 1993, Healthdyne formed another new subsidiary, Healthdyne Information Enterprises (HIE). The focus of HIE was to develop healthcare information technology to facilitate the trend towards more efficient data management in healthcare. HIE developed "Cloverleaf", the most widely used healthcare "integration engine" both domestically and internationally. HIE also developed a "master patient index" which has been used in numerous vertically integrated healthcare networks. By 1995, Healthdyne had grown to be an internationally based multi-subsidiary company. Healthdyne had subsidiaries in medical technology, health information technology, and healthcare services. At that point, Mr. Petit decided that the business would better serve its stakeholders and increase shareholder value by splitting into three separate publicly traded companies. Therefore, in 1995, Healthdyne was split into Healthdyne Technologies, Healthdyne Information Enterprises, and Healthdyne Maternity Management. This was accomplished by a tax-free dividend to shareholders. Healthdyne Technologies was merged with Respironics in 1997, and between 1997 and 2007, that organization grew to over one billion dollars in revenues. It was sold in December 2007 to Philips Healthcare for approximately $5 billion. The management executives from Healthdyne Technologies remained in management roles at Respironics, and were its CEO and COO when it was sold to Philips in 2007. After HIE was spun out to the Healthdyne shareholders in 1995, a secondary public offering was completed in 1998. HIE's name was changed to HealthCare.com just prior to its merger with XCare.Net. At that point, the organization's name was changed to Quovadx. Quovadx has since become a private company. In 1996, Healthdyne Maternity Management merged with Tokos Medical, its major competitor in the management of high-risk pregnancies, to become Matria Healthcare. From 1987 to 2008, Matria grew to become a leader in the disease management and wellness sector of healthcare. Matria Healthcare grew internally as well as by acquisitions. In January 1999, Matria purchased three diabetes related businesses for an initial consideration of $130 million. Contingent consideration of approximately $14 million was paid in 2000. The first of these businesses was Diabetes Self Care, a diabetes mail order supply business. This business grew significantly and was sold in June of 2004 to KRG Capital Partners, LLC. for approximately $103 million. Matria retained the accounts receivable which were valued at an additional $21 million at the time of the sale. The second business was Facet Technologies, a medical device design and manufacturing business. Facet also grew significantly and was later sold to Water Street Capital in September of 2006 for $122 million. The third business was a diabetes supply and services business based in Germany by the name of Dia Real. This business was sold in October of 2006 for $33.3 million to the OPG Groep N.V., a company based in the Netherlands. During the ownership of these three companies, Matria also received, net of investments, approximately $250 million of cash flow which assisted in the funding of its other business initiatives. In 2003, Matria made its first significant acquisition in pure disease management, Quality Oncology. Quality Oncology is the premiere national provider of cancer disease management services. In 2004 and 2005, Matria acquired two wellness providers, Miavita and Winning Habits. In 2006, Matria acquired CorSolutions, its primary competitor in the employer sector of disease management. During this period of time, numerous debt offerings were accomplished through Matria's various commercial banks. In addition, in 2003 Matria Healthcare completed a high yield bond offering, and in 2004 Matria Healthcare completed a convertible debt issue. In 2006, Matria Healthcare borrowed $455 million from Bank of America to accomplish the acquisition of CorSolutions Medical. Matria Healthcare was acquired in May of 2008 by Inverness Medical Innovations for $1.2 billion. The merger consideration was comprised of cash and convertible preferred stock. In February 2009, Mr. Petit became Chairman, President, and CEO of MiMedx Group which was a development stage orthopedics biomaterials company that was publicly traded (MDXG). Mr. Petit made significant investments in the company. MiMedx is now a fast growth company with revenues forecast to be between $60 and $70 million in 2013. 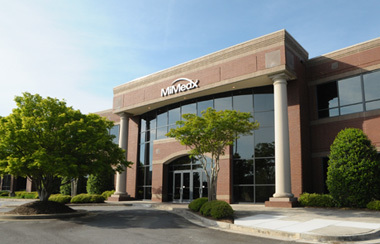 MiMedx is the global premier processor, marketer, and distributor of human amniotic tissue. MiMedx has distributed over 130,000 amniotic tissue grafts worldwide and achieved profound clinical outcomes in multiple therapeutic areas including ophthalmology, spine, chronic wounds, dental, orthopedic surgery, sports medicine, and urology. Over 50,000 of those amniotic tissue grafts were delivered in 2012 alone. With this groundbreaking human tissue offering that promotes bioactive healing, MiMedx believes its unmatched superior processing of amniotic tissue and patents strategically positions the Company to become a leader in regenerative medicine. The Company's patent protected PURION Process is the foundation of the MiMedx AmnioFix and EpiFix products that serve to regenerate damaged or diseased tissues by delivering human extracellular matrix components, essential growth factors, and specialized mediating cytokines. AmnioFix and EpiFix reduce inflammation, reduce scar tissue formation, and enhance soft tissue healing. The Company's proprietary PURION Process dry preserves human amniotic membrane tissue, resulting in minimally manipulated tissue products that address numerous serious unmet medical needs requiring tissue regeneration or healing inside and outside the body. Through the Company's unique process for dehydrating human amniotic tissues, improved clinical outcomes, increased patient quality of life, and reduced financial burden to the healthcare system are achieved. MiMedx is dedicated to the development and support of thoughtful and effective philanthropic programs to help those in underserved medical areas in need of healing. In 1983, Mr. Petit lead a group of investors in purchasing Lanson Industries, a manufacturer of products for the military that was located in Cullman, Alabama. Lanson grew rapidly, and in 1985 was sold to Charterhouse Group, a British private equity firm. In 1986, Mr. Petit made a significant investment in CytRx Corporation, a biotechnology firm specializing in poloxamer compounds. CytRx went public in 1988. In 1988, an investment was made in Nutrinet, a company that developed specialized protocols and technology for more effective management of diabetic patients. The company was successfully sold in 1992. In 1999, Mr. Petit made a significant investment in MarketRing.com, a company that had developed a technology platform for managing B to B and B to C exchange of information. The company was successfully sold in 2002. In 1986, Mr. Petit teamed with another Atlanta high-tech CEO, Leland Strange, to form Naples Development Group (NDG). 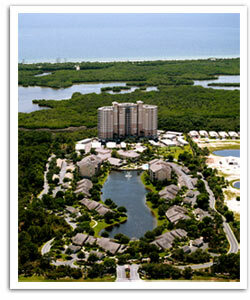 NDG developed one of the most respected assisted living communities in Naples, Florida. The Arbor Trace community consists of over 200 condominium units in a 17 story high-rise building as well as villas and mid-rise buildings, plus nursing, dining, and other facilities. Arbor Trace has become well known for its beautiful community and its well-respected assisted living nursing facility.